Are forex trading signals for you? Foreign exchange or forex is defined as the exchange of a nation's currency for that of another is. Overall, the forex market is a largest non-stop financial market in the world where currencies of different nations are traded. This forex market is bigger than three times the aggregate amount of the US Equity and Treasury markets combined. This is not the traditional market as there is no physical location or central trading location. It is operated on a global network of banks, corporations and individuals trading one currency for another. Foreign exchange market conditions can change at any time in response to real-time events. The purpose of investing in forex trading is to earn profits from foreign currency movements. Forex trading is always done in currency pairs. Two currencies that make up an exchange rate are called currency pair. Investors who trade currency pairs need very fast buy and sell forex signals. Without these forex trading signals, it is difficult to decide market conditions in terms of entry or exit in the market. These forex signals and trade alerts will indicate you for going out or coming into the market. Many forex companies, who have been involved in this kind of business, have developed forex SMS signal services. Several Forex signal providers got a "free test" also that is really beneficial. Initial investors don't go for in details; they often rely upon one or two technical signals to decide when to buy and when to sell a currency pair. When they get a good understanding of the forex market, they start to use forex signal software to decide when to pick up a forex entry point and forex exit point. 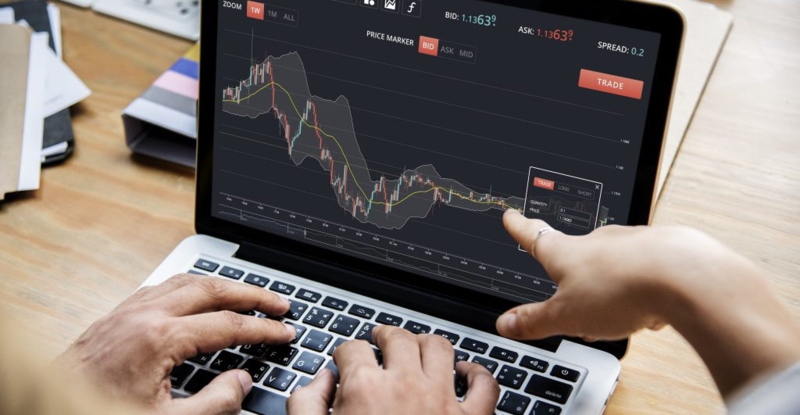 It is not very difficult to find an automatic forex signal indicating when to buy and when to sell a currency. An investor should compare his investment to alternative options. It is wise to buy currency you expect an increase in value relative to the currency you are selling. In an open trade, a trader has bought or sold a particular currency pair and has not yet sold or bought back the equivalent amount to close the position. To gain high profits in a forex trading, you should use a Multi-Target Exit Strategy. This strategy is based on providing the customers with multiple acquiring profit and stopping losses. This forex trading strategy allows you to enter multiple Take Profit and Stop Loss levels. In addition, the strategy also requires that the trader follows the trade in real time. A forex trading strategy with a high profit percentage rewards you mentally also as it will boost you up for further trade and will make it enjoyable. A string of profits will increase your morale. Ultimately, forex trading signals help you in minimizing risks or losses in forex trading, it is vital that you have self-confidence that you can do good trading and can gain profits. It is generally recommended subscribing to these forex trading signal services at least till you have gained confidence in trading or if you do not have the time to monitor and analyze the market. It can help you develop your trading strategy as you observe how another, successful trader operates.